Living in a world where the smartphone, laptop and camera are the three electronics that are always within my reach, its sometimes hard to believe when things are still done by hand. Isn’t there a machine to do that? It’s one of the most important lessons learned while travelling – the differences between us on this blue planet. 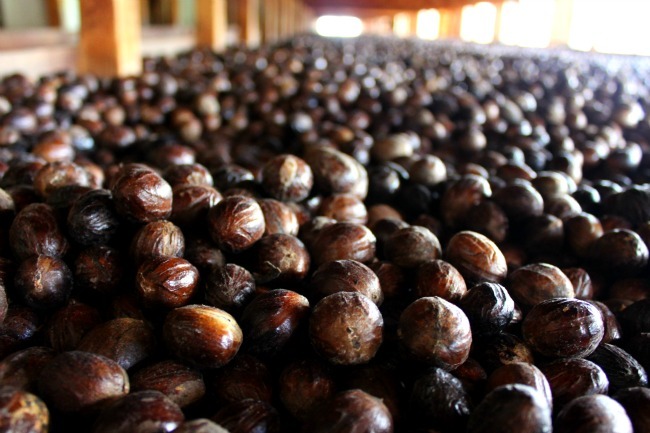 While on the island of Grenada, I learned more about one of its famous exports – nutmeg. And although I wasn’t surprised by seeing them on the tree, I was still surprised to see most of the work was done by hand. 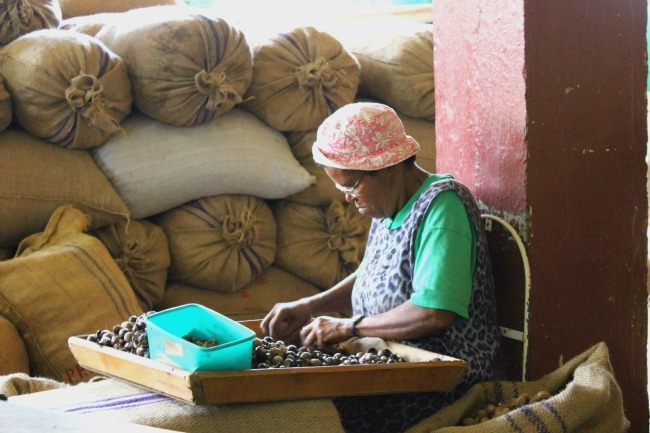 As I watched the ladies sort the small brown nuts by hand, I also realized how much of this work is seemingly so simple – quick hands and a watchful eye is the key – but the lack of fancy methods and electronic gizmos seemed initially odd. Isn’t there a faster or more efficient way to do this job? On this island, the way to do it is by hand and although its not a job that many would think of as a career, its a prized job here – and something to see, giving these women the same accolades for those who create the latest gadget.